Today’s post is from a fellow turnkey property investor who I have interviewed in the past in my Turnkey Interviews. It’s a great article so be sure to check it out and let me know what you think. I’m a firm believer that turnkeys can be a great investment, especially if you’re new to real estate or live in an expensive city, where cash flowing properties are hard to find. My wife and I bought 4 turnkey rentals in Atlanta and Birmingham last year and plan to buy more in the future. Before we settled on the homes we bought, we looked at dozens of properties in several different markets. And contrary to what some turnkey companies would have you believe, not all of them are good investments. Picking the right market definitely plays a huge role, but I also noticed that most turnkey sellers inflate the cash flow projections they list on their websites. I wouldn’t say they are blatantly lying, but definitely not telling the whole story. They are trying to sell their product and know that many investors are attracted by higher cap rates, COC returns and cash flow. Based on my experience, here are 5 of the most common ways turnkey sellers inflate cash flow projections. 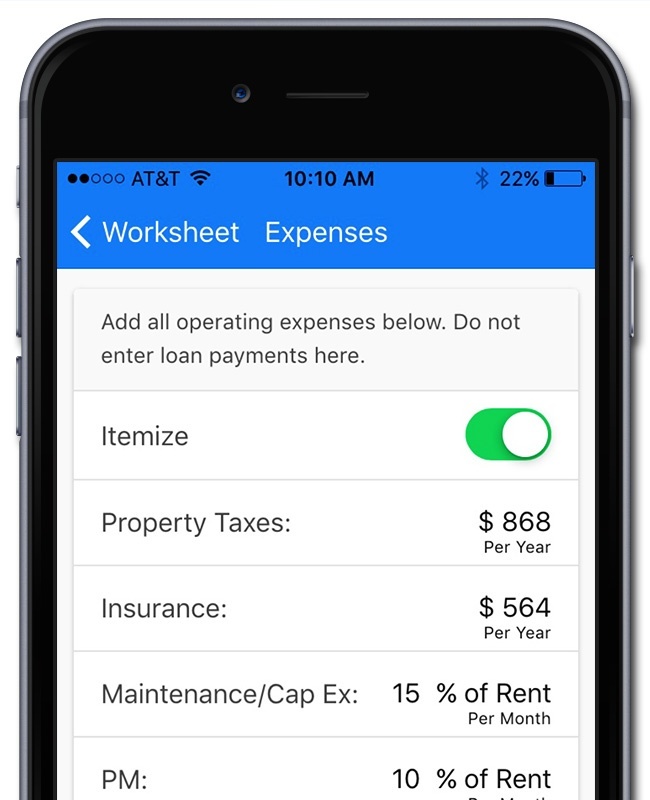 I threw in some screenshots from the DealCheck mobile app I designed and always use to analyze rental properties to show how I run my numbers. If you’re not familiar with the way vacancy works, it’s a percentage of time you expect a property to remain vacant each year. Your rental may be vacant while you’re searching for a new tenant or doing make-ready repairs in-between tenants. Vacancy isn’t an actual “expense”, but instead reduces your rental income. For example, if it takes an average of 3 weeks to find a new tenant and you expect one tenant turnover per year, your vacancy rate will be 3 weeks / 52 weeks = 5.8%. A property’s vacancy rate depends on the city, neighborhood and the property itself. A high-end condo in a trending neighborhood will likely have a lower vacancy rate because you will have no problem finding new tenants. On the other hand, a rental in a smaller town with less rental demand and not much curb appeal may take several weeks or even months to get rented out. Many turnkey companies sell properties in lower-end markets and neighborhoods, where it often takes much longer than you think to find a tenant. In addition, lower quality tenants will put more wear on your property, so your make-ready repairs in between may be more substantial and take longer. Not to mention, dealing with Section 8 tenants may add weeks of extra time waiting for the paperwork to go through. I often see vacancy rates advertised at around 5%, even in C-class neighborhoods. Don’t take the listed rate as-is, do your own research. Contact 2-3 property managers and ask them how long it takes to find a tenant for similar properties in the same area or look at active rental listings on Zillow or Trulia to see how long they have been up. I personally use at least a 10% vacancy rate for single-family homes and 15% for multi-family properties. A bit on the conservative side? Sure. But I’m not going to be surprised when it takes 4 weeks to find a new tenant. Every rental will have maintenance and capital expenditure expenses. Maintenance and repair costs come up as things break due to normal wear and tear. Capital expenditures (cap ex for short) are larger expenses that only occur every few years, like replacing the roof, re-painting the house or buying new appliances. Both maintenance and capital expenditures are typically listed as a percentage of the gross rent. So if the home rents for $1,000 a month and maintenance/cap ex is 10%, that comes out to $100 a month. Almost every turnkey company I’ve looked at severely underestimates maintenance items and often omits capital expenditures all together. I’ve seen maintenance listed at 2% for a 1938 house that rents for $750/month. Do you really think it will take just $180 dollars PER YEAR to upkeep a 75+ year old home? I base my maintenance and cap ex projections on the age of the house and tenant quality. Newer homes and homes that attract A-class tenants will usually have lower maintenance costs than older homes or those that will be rented out to Section 8. At a minimum, I allocate 10% (or $100, whichever is less) to maintenance and cap ex, even for my nicest properties. For homes that are older than 50 years or Section 8 properties, I bump that up to 15%. Another often problematic area is property taxes. Almost always turnkey providers list last year’s property tax values, NOT the ones you will actually end up paying. Why are your property taxes likely going to increase? First, property taxes are based on the county’s assessed value of the property and in most states, that value will be equal or close to the last sales price. When you buy the home, you’re always going to pay more than what the turnkey company paid for it, so it’s assessed value and property taxes will go up. In addition, many turnkey companies buy their properties from homeowners who foreclose. Many states and counties offer homestead exemptions that lower property taxes if you live in the home. Since you’re buying a rental, that exemption will disappear and your taxes will go up. Find the county’s property tax records online. Look at the previous 2-3 tax bills and figure out what percentage of the home’s assessed value is due as taxes each year. Use the percentage and your purchase price to calculate the new tax, removing any exemptions in the process. Many turnkey providers will use a 0% vacancy rate for the first year’s cash flow projections. The rationale is that if a property is already rented out, the current tenant “should” stay there for at least a year, so you will have no vacancies. Well, it’s great when that happens, but it’s better to prepare for the worst and factor in the vacancy into the first year, along with all future years. Vacancies can happen at any time, for a variety of reasons, even just months after you purchase a home. I bought a turnkey in Atlanta with a tenant already in place last March. Everything was going fine, until about 3 months in when the tenant stopped paying rent due to financial hardships. Between the eviction process, make-ready repairs and finding a new tenant, the home was vacant for about 5 weeks (9.6% vacancy!). If you’re realistic with your first year’s expectations and projections, you have less chance to get surprised and to end up in the hole. Leaving a budget for vacancy for the first year is a great way to do that. Over longer periods of time (think 5+ years), rent tends to go up in most cities across the US due to economic growth and inflation. But this increase is NEVER guaranteed and rent in different cities increased by varying percentages each year. It could stay flat or even drop from time to time. Nevertheless, I routinely see turnkey sellers write in a 3% or 4% rental income increase in all of their cash flow projections. This is somewhat deceiving and inflates the numbers pretty quickly after the first few years. They may even use this as a marketing trick to sell you a poor investment, pointing out that in a couple of years your cash flow will be much higher than in the first year. I like to set my yearly rental income increase at 1-2%, depending on the area and the property. And I definitely don’t rely on it to make the property a worthwhile purchase. If it happens, great! If not – I’m still getting a solid cap rate and cash flow. Always Do Your Own Cash Flow Analysis. Many investors I meet have a notion that all turnkey properties are great and that they can skip the whole “analysis” and “due diligence” part because it’s been done for them. This is definitely NOT the case. I treat a turnkey purchase as any other property purchase and that includes doing a full cash flow analysis that I perform myself, without relying on the numbers somebody sent me. This has saved me from buying bad rentals that would have drained my money year after year. This also helps me to have realistic expectations about each property’s cash flow and returns. In almost all cases, our properties have done substantially better than what I projected, but I also have a safety net in case something happens. 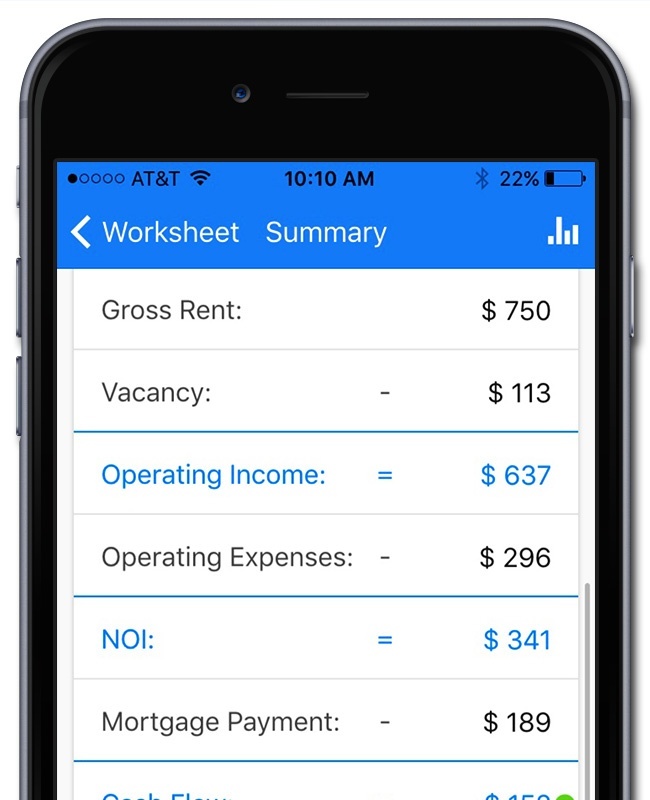 If you’re looking for a quick and easy way to analyze turnkey properties right on your phone or tablet, check out the mobile app I designed called DealCheck (available for iOS and Android). 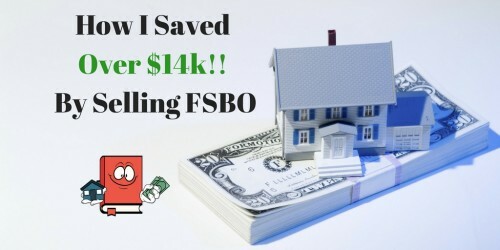 It will help you crunch all of the numbers in less than a minute and even create professional PDF reports you can save and email to your mortgage broker or partners. If you’ve come across any other ways turnkey companies inflate cash flow numbers, share it in the comments below! Anton is an entrepreneur and real estate investor from San Diego, CA. He is the founder of DealCheck – the #1 mobile app for real estate investors to quickly analyze rental properties and flips, compare RE deals and create professional PDF reports. You can download DealCheck free for iOS and Android. 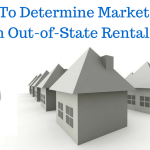 How To Determine Market Rent on Out-of-State Rentals? 1. Make sure investors pay the same property tax rate. I learned the hard way that property taxes are higher for non owner occupied. This is the case in Indianapolis. 2. On a positive note, I don’t see many turnkey companies take into account depreciation which I do value. So this is a plus in a sense. Totally agree about property taxes – I don’t think I’ve actually seen one turnkey property advertised with the “new” property tax values. It’s always previous-year numbers, which could be significantly less than what you’ll end up paying, especially if this was bought from a homeowner. Definitely agree as well. Especially in Indy, if the turnkey providers arent telling you that the taxes are 2%, not 1% for investors in indy then there is a huge problem. Makes matters worse that each city and state is different. Oh I never count depreciation or tax advantages when running my numbers. That is just icing on the cake for me when I see those savings. I think the other tricky fee is lease up fees which can be 1 months rent which can be huge chunk of your return. Based on that I feel any property managed rental is very hard to make work unless each tenant stays 2-3 years. I’ve seen property managers who don’t charge any leasing fees or tenant placement fees, and also have no vacancy fees (meaning they only charge you when rent is being collected). I would say it’s a bit rare, but can be found. Definitely worth researching all of the costs and if you don’t like the PM being used – look for another one. Good list. They also include mortgage principle as cashflow. While this is technically true, it is very misleading on the true cash on cash return. As you say, always, always run your own numbers. As far as capex goes, I think its actually better to due a hard number rather then a percentage of rent. A equivalent roof in Indianapolis will likely cost the same as one in Denver yet you might see $700/mo rent vs $1800/mo. Instead project out when the roof needs replaced and how much you need to save each month for that replacement. Example: A $10000 roof in 10 years will be $83/mo that you need to set aside. I have this projected out for all my major systems on each unit. My rough numbers are around $60/mo on SFH and $90/mo on duplexes for capital improvements and around 8% for normal maintenance. I know what you mean about the mortgage principle pay-down. I’ve also seen things like equity gain or tax deductions under cash flow, all of which is incorrect. I haven’t seen turnkeys include the mortgage principal in the cash flow, but that doesn’t even make sense. I can see adding in the equity pay down by your tenant as part of your total return, but cash flow? That’s just wrong. I take the same approach to capex. While I like to use a % for maintenance, for mechanicals that aren’t being replaced at the time of purchase, I like to budget in the replacement cost averaged over the estimated remaining life. 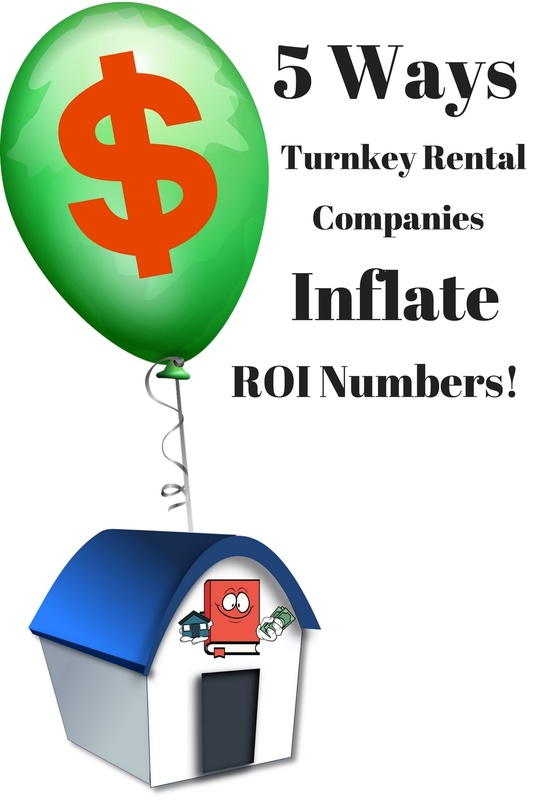 Turnkey companies many times inflate the initial rent estimate. So, for example, they might use $900 in the proforma numbers, when the house actually will end up renting for $850. Double check this by looking at the comps on zillow, craigslist, etc. Also look at rento meter. Also, expect to be hit by an initial rental fee right out of the gate. I personally haven’t had this happen to me yet, but I’ve heard of many companies who inflate the rent as well. They may use very aggressive tenant placement incentives or do poor screening to get a tenant in at a higher rent, but when the current tenant moves out, you may not be able to re-rent at the same rate. Nice list here! Turnkey sellers definitely fudge their numbers in whatever direction that will result in a higher cash flow. I’ve seen overestimated rents, low vacancies (<8%), low maintenance (<10%), no capex, and no leasing fees as common practice. Not to mention, some pro-formas even assume down payments higher than 25% in order to give the impression of higher cash flow. Thanks OB, the things you listed are pretty much in-line with what I’ve seen as well. I understand that there will always be a conflict of interest because turnkey companies need to sell their properties, but I feel like some go overboard with their projections. Vacancy rate can be such a harsh reality when getting into real estate. My parents are feeling the effects of a high vacancy rate (they have no experience whatsoever and has to rely on a property management company to do so). They’ve found a tenant but had to reduce the rent to get the tenant with only a 1-year contract. I also can’t believe they advertise a higher-than reality vacancy rate. That just sounds so sleazy.. Vacancy is always a tough one to estimate because it varies so much by city/neighborhood/property type, but I would say that generally turnkey companies severely underestimate the vacancy rates. It’s especially true if your property is going to be Section 8, as that process can take weeks in some states. Great list of metrics to look for. I’m about to review various turnkey companies and this is a handy reference for crunching the numbers. Thanks for sharing it. My pleasure Brian! My advice is to be very conservative with your cash flow projections and be very picky. Like I mentioned in the article – there are a lot of bad turnkey companies and bad turnkey properties. If you’re careful when shopping around, it will save you so much headache and disappointment down the road. Very true. Property tax will get you every time if you’re not paying attention to reassessments and prior year adjustments. 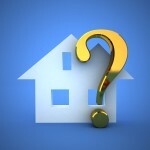 As a provider of Detroit turnkey properties, I appreciate it when new investors ask me these questions. I certainly don’t want to deal with someone surprised when tenants move unexpectedly, or when taxes go up, or when there is damage between tenants. I will refer my clients to your app DealCheck for sure. Thank you. You are absolutely right that, a property’s vacancy rate depends on the city, neighborhood and the property itself. Another drastic issues are up going property tax and unexpected move of tenants combined with property. Overall, I will say it’s a nice article by you to read.